Dr. Max Bernstein studied good old-fashioned chemistry at McGill University and Cornell but got into space science right out of graduate school and never looked back. As the PI or Co-I on numerous NASA grants from the Astrobiology, Exobiology, PGG, and Origins programs he supported himself and post-docs for a decade on R&A awards. Thus, he knows from personal experience, both as a soft money scientist and as a civil servant what it's like to compete for funding, and how important it is for the proposal submission, review, and award pathway to be smooth. He is enthusiastic about NASA's science program, and proud to be helping to make it even better as SMD's Research Lead. Max has published over 25 first-author peer reviewed research papers including Science (1999) 283, 1135-1138, and Nature (2002) 416, 401-403 (both of which have well over 100 citations) and many others on subjects that range from the chemistry of the interstellar medium, star-forming regions, and planetary nebulae, to astrobiology including the origin of and the search for life, especially the difficulties posed by false biomarkers e.g., Phil. Trans. R. Soc. B (2006) 361, 1689-1702 (read it about it in the economist). 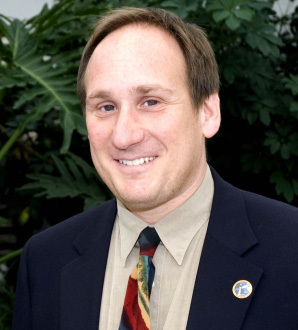 In addition to solving problems in both science and its administration Dr. Bernstein takes part in public outreach and education and has written some popular science articles. A list of Max's publications.